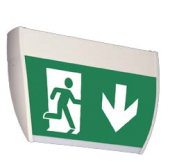 With over 45 years of experience, Teknoware is a global technical innovator of emergency lighting systems for buildings, ships and other locations. All of our products and electronic components are designed and manufactured in our own factory in Lahti, Finland, and supplied in the UK exclusively by IcLighting. 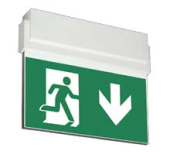 This elegant exit light has an extruded aluminium frame and an edge-lighted light plate. 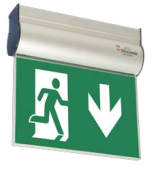 The elegant exit light Esc 3 has an extruded aluminium frame. It has been designed for long viewing distances.